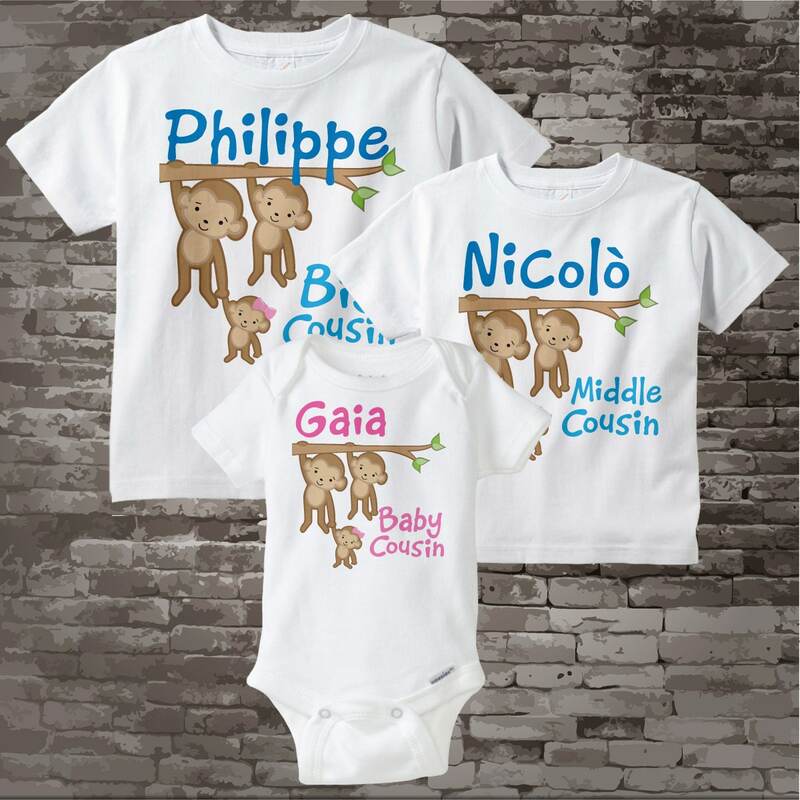 Super cute set of three shirts or Oneises are Personalized with the combination of Big Cousin, Middle Cousin, and Little Cousin. 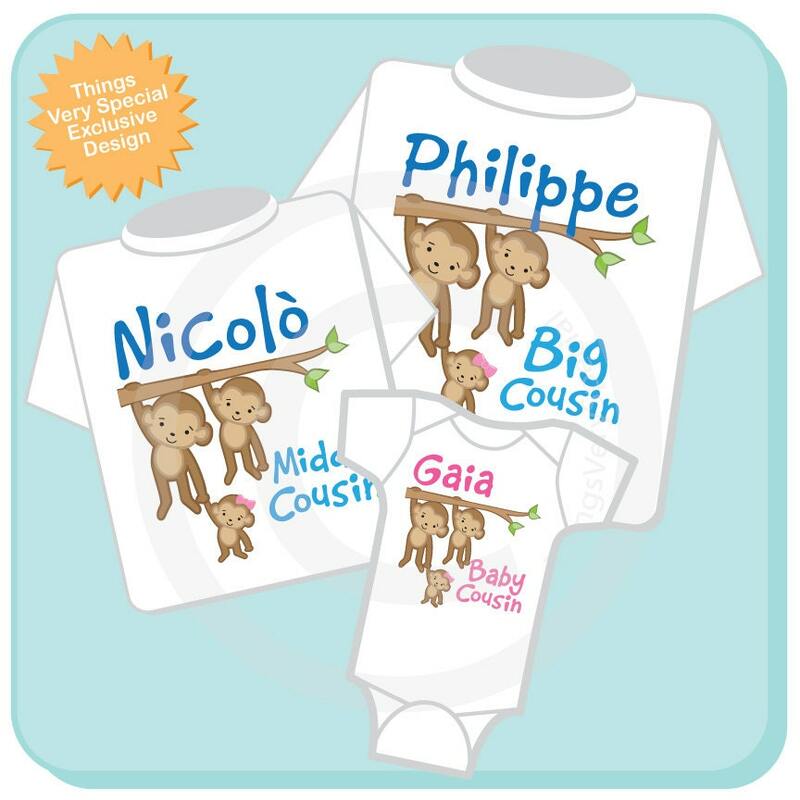 Can also be done with boys and the titles can be changed any way you would like them named. If you'd like a different combination please contact me. The title for that child. Perfect! Great seller! Super fast shipment!